Note to readers: Hover over italicized Spanish words for the translation. 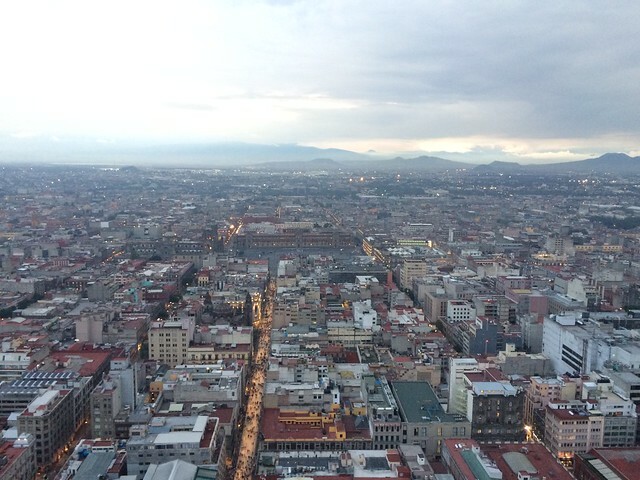 It’s hard to find your place in a city as large as Mexico City. From a high enough perch, on a clear day, you can see how the city covers the entire footprint of an ancient lakebed. When you gaze toward the rolling hills and volcano ranges, barely visible at the limits of the horizon, you can begin to approximate the urban boundaries. At this height, your eyes attempt to convey the reality of 20 million people cramming into the Western Hemisphere’s largest metropolitan area, but the activity below still seems distant. 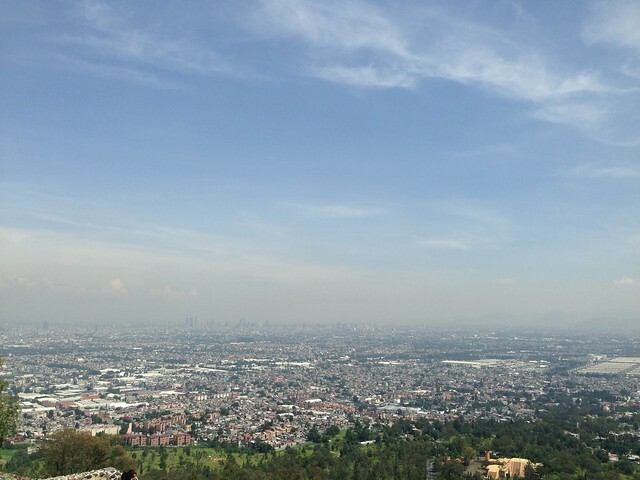 At the same time, you can pick out the typical big-city sounds of police sirens, honking cars, and construction equipment that give Mexico City a constant, if at times shrill, base layer of noise. But these are not the auditory signals that form the basis of your relationship with the city, the cues that tell you where you are in the city, or who is around you. To get a sense of the city on an intimate level, you need to stand on the street. There have been many accounts of the particular sounds of Mexico City street life, most focusing on the way that mobile vendors use specific voice calls, recordings, and instruments to announce their presence. Any chilango can tell you that jangling cow bells mean the garbage truck has arrived, that a high-pitched steam whistle is not the sound of a broken-down train but the call of the camote sweet potato vendor, that the nasal melody of tamales oaxaqueños wafting through the evening air means the tamale vendor is passing by on bicycle, and, that if you follow the ear-piercing wail of the colchones women you’ll find the bulk trash pick-up. But in nearly every case, these hitazos of the Mexico City sound canon are highly standardized, meaning they sound the same in just about every part of the city. For this soundwalk, I’m going to take you to the place where I first felt like I could interact with the city in a way that connected me with a specific place and time. On one of my first Saturdays in Mexico City, I was walking in the residential neighborhood of Roma Sur when I saw a red awning in the distance that hung just below the level of the trees. As I walked closer, I could see that the covering was, in fact, part of a much larger canopy of red vinyl that reached along the entire street for many blocks. I later learned that I had stumbled upon a tianguis, a typical neighborhood market held once a week in many communities across the city. The word tianguis comes from Náhuatl, the ancient Aztec language, and the tradition of holding open-air markets dates back to pre-Hispanic times. 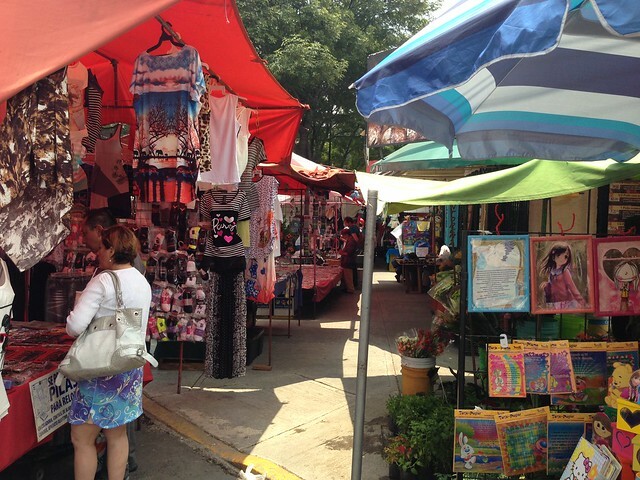 Today, the custom continues in many cities throughout Mexico, with many tianguis specializing in specific products, ranging from cosmetics to plants, while others are more general. 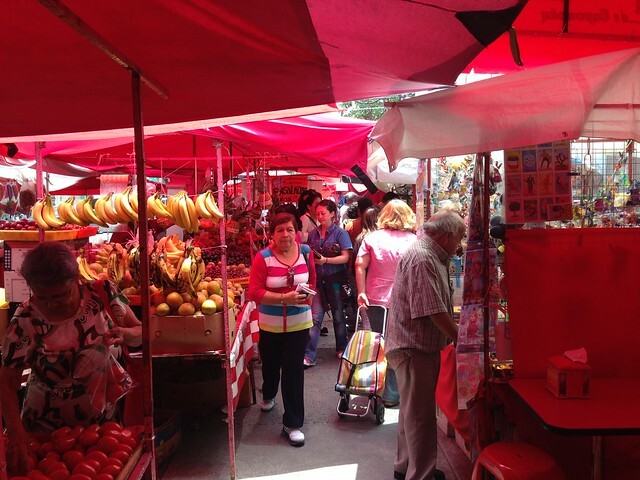 In Roma Sur, the Tianguis de Bajío converts an otherwise quiet, residential street into a one-stop source for household staples: fresh fruits, vegetables, prepared foods, and also jewelry, school supplies, electronic accessories, bootleg movies, toiletries, and clothes. 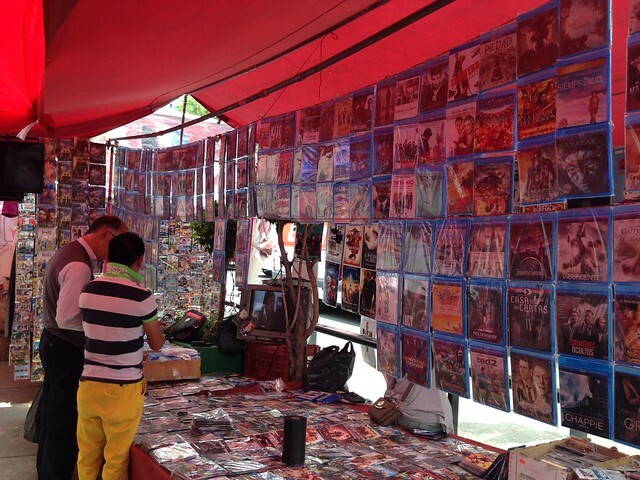 The magic of the tianguis, is that it happens only once a week. So if you came upon the same block any other day, you’d have no idea that it ever occurred. 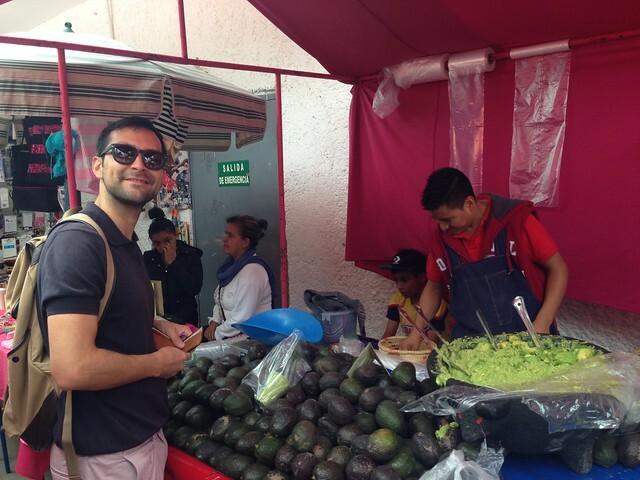 The Tianguis de Bajío likely resembles many other tianguis in its layout and offerings, but for me it has been an important part of my Mexico City experience because it was the first place where I didn’t feel like I was a tourist. In all the Saturdays that have passed since my first visit, I’ve never heard any English (if you don’t count the dubbed movies playing in the bootleg DVD stalls). This is one of the few places in the city where I feel like I see the same faces every time I go. It is also the only place I’ve seen a huge molcajete full of guacamole. The Tianguis de Bajío lasts no more than five or so blocks, but as you can hear in the recording, passing each stall is like entering into an entirely new world. In the course of a 2-minute soundwalk, you can hear families walking by, tlayocos sizzling on the comal, street musicians tooting, butcher’s knives hacking pieces of meat, and stereos blaring The Beach Boys. It’s almost enough to make you feel like a part of the neighborhood. Nonetheless, the most striking aspect of this walk isn’t the sounds, but rather the distinct smells of each stall. Dried chiles and chapulines, fresh mango and papayas, fried quesadillas and roasted chicken, are all much more recognizable as smells than as sounds. For the full experience, you’ll just have to visit. Post and Photos by Teddy Krolik. This is one of many posts where CoLab Radio contributors take readers and listeners on a soundwalk in their city. Read and listen to the previous soundwalk in the series from York Boulevard in LA, California here. If you’d like to submit an example from your own city, see the easy steps here.